Maybe the summer is here and it’s time to blow the dust off your favourite sandals and tone that bottom by walking around in your fitflops? Or it’s time for that winter holiday somewhere in the sun? Well, there’s nothing more embarrassing than exposing those yellow toenails and thick skin. Treat those poor neglected feet! Not only do our luxurious manicures and pedicures leave you immaculately groomed, but you leave walking on air! At Allure we use the Exquisite Salt of the Earth products for our manicures & pedicures. These products are infused with natural ingredients and trace minerals straight from Americas Great Salt Lake. The unique products are customised in each treatment by choosing booster ingredients to help with specific conditions such as dryness, ageing and inflammation along with a choice of seasonal aromas. Every Salt of the Earth product is individualised to create the most rewarding experience possible for each client. 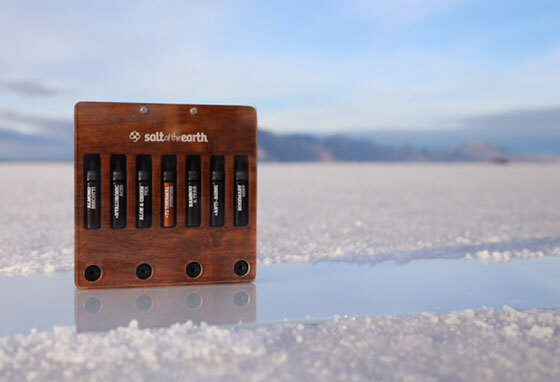 From quick and easy blending of fresh ingredients to customised scents and unparalleled handcrafted quality, Salt of the Earth allows clients to escape into a soothing, aromatic experience each and every time. Salt of the Earth Pedicures improve the appearance of your feet and nails. They can help prevent nail disease and disorders. Our pedicures are not just limited to nails; dead skin cells on the bottom of feet are rubbed off and leg massage below the knee is included. We treat you to amazing products combined with reflexology and the best leg and hand massage, and of course finish off with a choice of nail polish from our bespoke Artistic Collection. This treatment includes conditioning of cuticles and the treatment is finished with the perfect shape and application of your chosen nail varnish. 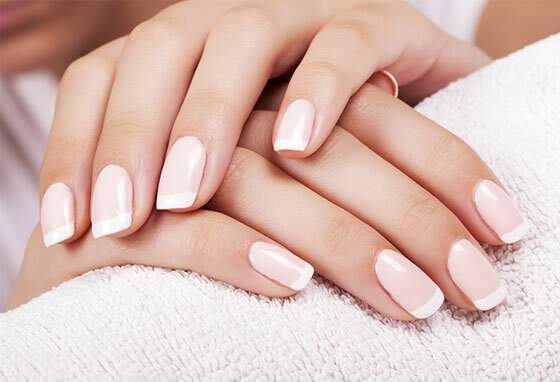 This manicure includes cuticle care, exfoliation and massage. Your nails will be beautifully shaped and finished with an application of your chosen nail varnish. This manicure includes cuticle care, exfoliation, massage as well as a luxury mask and thermal heated mitts for comfort and deeper penetration of active ingredients. This treatment is fantastic for improving circulation and it also brings relief from stiff and painful joints. Nails will be shaped and finished with an application of your chosen nail varnish. shaped and the treatment will be finished with application of your chosen nail varnish. This treatment includes all the benefits of our Classic Pedicure with added luxury foot mask and thermal heated boots for comfort and deeper penetration of active ingredients. The gentle heat is excellent for increasing circulation and relieving stiff and painful joints. Your toenails will be shaped and the treatment will be finished with application of your chosen nail varnish. Reflexology is sometimes known as Zone Therapy as the body is divided into different zones represented by a point in the foot or hand. Nerve endings are embedded in the feet and hands that then travel to the spinal cord and to various parts of the body. Stimulating these nerve endings thereby helps promote relaxation, improve circulation, stimulate vital organs in the body and encourage the body’s natural healing processes. Unlike conventional medicine, reflexology works on the underlying problems within the body and works through the body’s nervous system. Sometimes lactic acid can be felt in the foot in the form of little crystals. This is a sediment due to poor eating or lack of exercise and can be crushed and reabsorbed into the body thereby allowing the lymph system to eliminate the waste product. The treatment involves light, but firm, compression massage to the soles and uppers of your feet possibly using talc/reflexology cream. During treatment some areas of the foot may feel a little tender and these will correlate with the problem areas in the body. Reflexology should not be used if pregnant. You will find that reflexology is typically a very pleasant, relaxing and rejuvenating therapy. Don’t worry if you have ticklish feet, the treatment is very precise and quite firm. Reflexology can treat nearly all health problems. Although all reflex areas will be massaged, the therapist will pay specific attention to the actual problem area. So, for migraines, strokes, multiple sclerosis, etc. pressure will be applied to the reflex point in the foot or hand that relates to the head and the connecting areas. Reflexology will not fix problems such as broken bones or hernias but if used regularly it will enhance any other treatments you are receiving by keeping the circulation stimulated and the lymph system active. You should also experience feelings of vitality and well-being after reflexology treatment which encourages the healing process throughout the body.